Schooner “Esther Anita” belonging to Capt. William Benjamin Hassell born on Saba but lived on Barbados. As you can see the schooner is docked up close to the Brooklyn bridge. 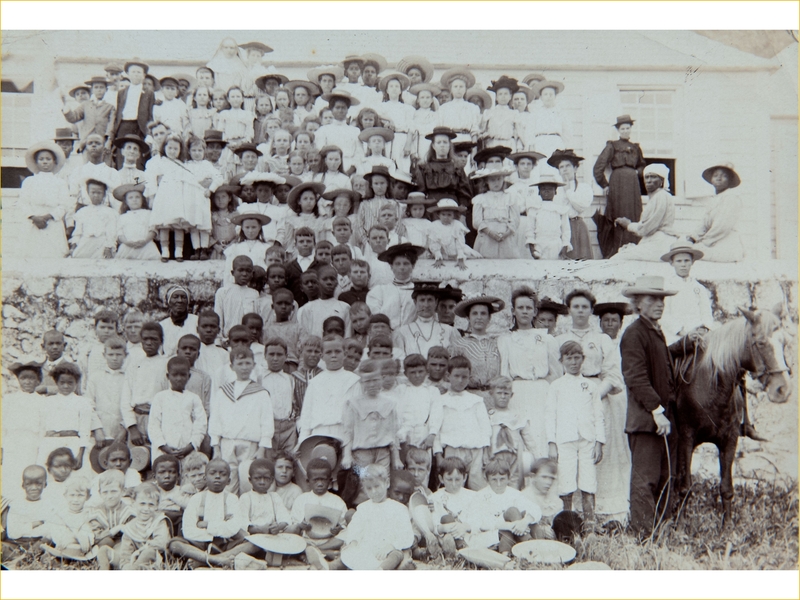 Photo from around 1915 when there was regular schooner trade from Saba via St. Kitts (sugar) and St. Martin (salt) and with passengers from the Eastern Caribbean as well. These days when most cargo comes in to the islands by container ship, it is difficult to imagine the schooner trade in former times. 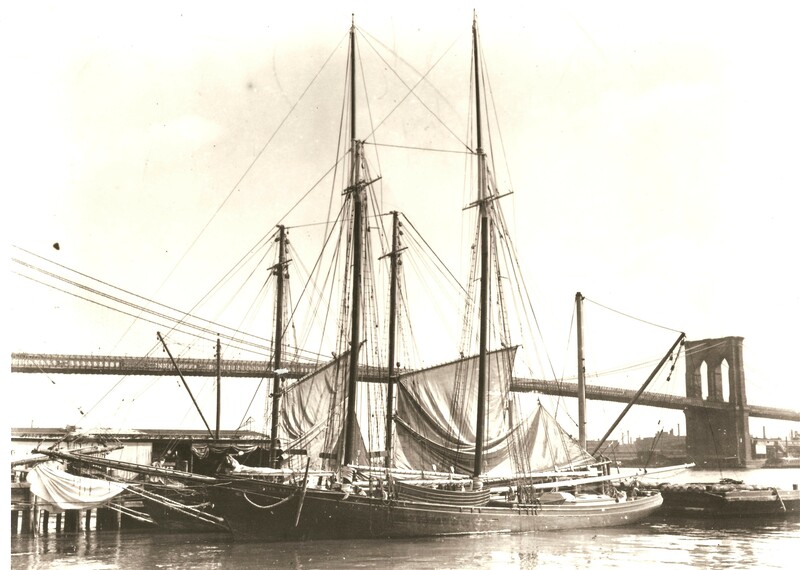 Up until the nineteen twenties, Saban schooners were transporting passengers and cargo to and from New York. And not only for Saba ,but also for other islands in the Eastern Caribbean and as far away as Demerara. Some of our schooners were large three and even four masters and could carry substantial amounts of cargo. There are websites on the internet which list trade with the port of New York such as the Ellis Island website. However they deal mainly with immigrants going to the USA on large ships. I am still hopeful of finding a website with schooners from Saba listed. In my own research and in interviews with former captains for my book “Tales From My Grandmother’s Pipe” I learned a lot about the trade with New York. I even have a photo of the schooner the “Esther Anita” in New York Harbour. 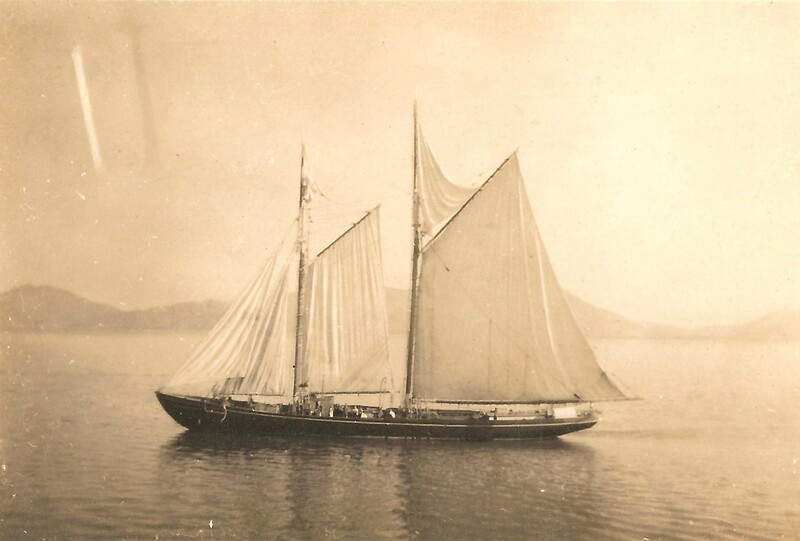 In 1915 this schooner owned by Captain William Benjamin Hassell made the trip from New York to Saba in a record nine days. Captain George Irvin Holm here at the grave site of his father. He always wanted to be buried next to his father and when he died in Florida in his nineties he was brought back to Saba and buried where he wanted to be. When he was in his eighties he built a home in The Level on Saba as well. The late Capt. Irvin Holm (1891 -1984) told me that as was the custom back then, he went to sea at the age of 13. His father, while farming, had been killed by a falling rock and he and his brother (later Captain Ralph Holm) were their mother’s sole upkeep. In 1906 he visited New York for the first time. He was the cabin boy on the schooner “Mary Love” belonging to Capt. W.B.Hassell. On that trip the schooner took 22 passengers from Saba, St.Eustatius , and St.Maarten On its return trip to Saba the “Mary Love” brought the lumber to build the home of Captain Ernest Alfred Johnson on Booby Hill. One hundred years later the home is still lived in and with all the hurricanes it has gone though it looks as if it was built yesterday. On April 28th, 1896 the same schooner sailed from St.Kitts bound for New York and made it there in twelve days time. In Captain E.A. Johnson’s , Memoirs, “21 knot Johnson” he tells about his experience with Captain Ernest Vanterpool in New York. Freddie as he was called was just a young boy at the time and had signed up with a clipper ship to go to India, He uncle who was also sailing out of New York did not like the idea. Here follows what Freddie tells about his experience with Captain Vanterpool in New York harbor on July 11th, 1901. Capt. Ernest Alfred Johnson of “Bobby Hill” here being visited by Sabans from New York. On the left Joseph Johnson (brother to “Mum” and “Gillie” and Emile Johnson, uncle of Harris Peterson and his brothers and sister. Photo from the 1960’s. Schooner “Priscilla” of Capt. 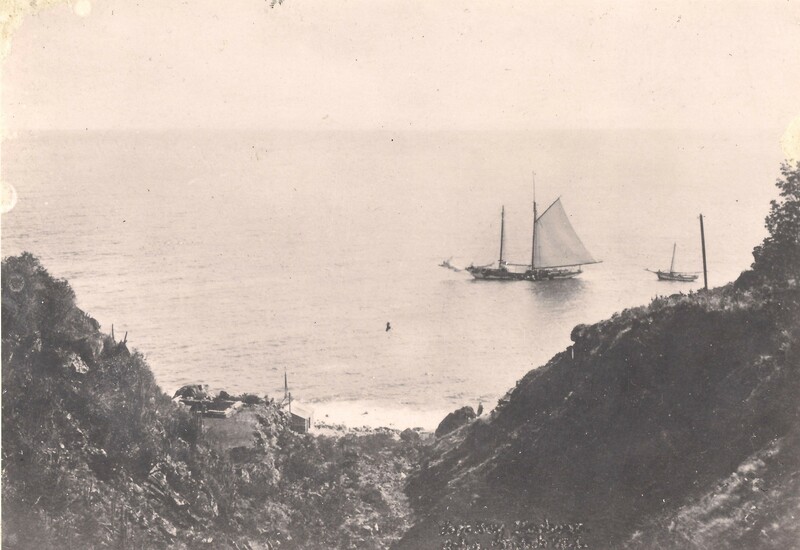 Ernest Hugh Toland Vanterpool at anchor in the Fort Bay road stead on Saba island Dutch West Indies. On the left Capt. 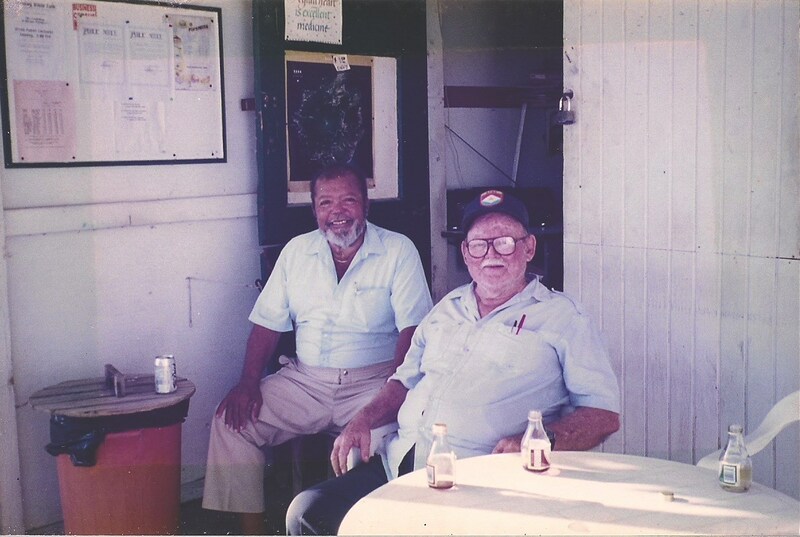 William Benjamin “Ben” Hassell (owner of the “Esther Anita” and his brother Capt. Thomas “Tommy” Hassell here on their schooner the “Maisy”. There was a waltz made by Miss Wemely Lynch called “The Maisy is mine and she can sail anytime”. Captain Solomon Simmons (“Butchy Coonks”) used to sail to New York already in 1876 and perhaps even before. He was Captain of the schooner the “Alice”. By the way “Butchy” a first cousin of my grandfather James Horton Simmons had two families, one on Saba and the other in Jamaica. On his deathbed on Saba he instructed one of his sons from here, also a captain, to go to Montego Bay where he had a lovely Scottish wife with four children and take them to New York. Two of these children later married Saba captains as well. I have a copy of a letter from Gustaf Ekerman dated May 25th, 1880, to his cousin Alfred Ekerman in Brooklyn New York. Gustaf was married to Georgianna Simmons of Saba. He was a native of St.Barths and lived in a house on the property where the Saba Housing Foundation in The Bottom is now located. As Captain Solomon Simmons one of my best friends is to home today to take charge of the Brig “Alice”, I embrace the chance to write you these few lines hoping to find yourself and family well. I gave him one of your cards so that he can find you. No doubt by this time Dodo is on “Magnus” and is yet with Capt. Scofaum and Solo is Mate of a schooner in St.Thomas. How can you give us some news of Clemence. Do try and find out if he is dead or not and write me by the return of the Brig. The Captain will not refuse taking anything for me or for my family. He is a good man. You must treat him well. Also the mate James Hassell and the second mate Peter Simmons. They are all my friends. I am married to a young lady who is the first cousin of the Captains wife. 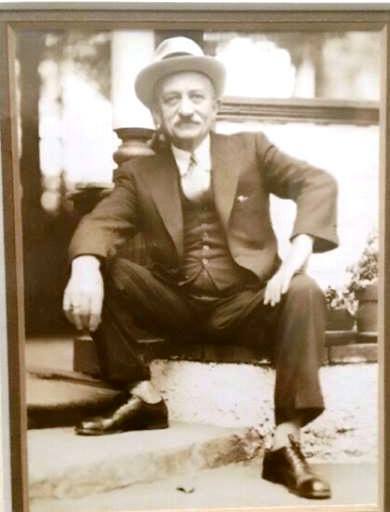 The famous Hyman Kaliski a Jewish merchant who accommodated the Saba sailors where the “South Street Seaport” facilities and museum are now located in New York. He was the Godfather to the Saban sailors for more than forty years. “You must talk to Clem for me and let him know that his Mother is yet alive. Tell him for me. I pray every day that God will make him come home. He ought to be ashamed of himself. Remember me to Uncle John and his family. I am in Saba keeping a little school. Nothing much. Send me a little good smoking tobacco as we cannot get any good here and the Captain promised to bring me a pipe. “There is not one word of news for me to write you. Write me by the return of the Brig and if Dodo is there tell him to go and see the captain and the mate. He must know them. Tell him the mate is Haddocks brother and he will know. Tell him he must write and if he has anything to send Mamma to give it to the captain and he will bring it safe. So I must now stop in hopes of soon hearing from you. The most remarkable story ever written about a trip by schooner was done by a semi-illiterate sailor Edward Beaks Hassell of Windwardside. This is taken from the manuscript by Mr. Kenneth Bolles “Caribbean Interlude” from 1931. We present it as written. In order to retain its unique flavour, despite the grammatical errors, I am sure that our readers will enjoy his story as he wrote it. He made the trip to New York in 1876. He wrote it in 1931. He died in his eighties in the late nineteen thirties. “ Fifty-five years past I was to America in the horse and buggy period and Yendy doudle was the topic of the time. I made my start there with a man from Saba, Capt. Solomon Simmons. The ship was a Dutch Brig. Her name was the “ALICE” and she was in St.Kitts loading with sugar and molasses. The Captain and the Mate and myself was white, the sailors black all of them and the cook from Barbados waiting on the ship he was Mulatta. When we get to St.Kitts the first thing that took attention, was the blacks loading the ship. They was eating sugar all day. I suppose each fellaw eat 25 pounds of sugar. When you look at his feet they would weight about twenty five pounds. I told a fellaw the sugar he ate drain down to his feet and give him molasses feet. We left there seven o’clock in the evening and went to the South to weather the fort bay if we could weather it, and the captain give the ship all sail. About half hour later the wind blew harder, and the captain give orders slack nothing let her go. Soon I come sleepy, but could not get into the cabin it was full and the forecasul had only room for the sailors, so I got to the galley and sit on the stove. Then the cook’s cracker pan began to wim. I picked it up and found it was full of crackers good and dry. I put it on the high shelf where it would not get wet and I began to eat crackers and I eat crackers all night from St.Kitts to St.Martin. Capt. Ben’s lovely schooner the “Mona Marie” of which his son Capt. Laurie was captain already at the age of nineteen like so many others from Saba in former times. Here she is off the coast of Trinidad. We got in St.Martin during the night. In the morning we told the captain he must look for somewhere for we to sleep that we could not wait until we get to America to sleep. Bout a week after we left St.Martin , we was in the Gulf. A heavy storm came on. We put the ship under close canvas. Night came on and it came worse. Five of us, was oblige to get on deck and when the high seas would strike her they would roar like thunder between the molasses puncheons. I praed for sound sleep. If I went I would not know how until I landed in Abrahams gulf. Fourteen days we was on the sea, then we gets into a thick lot of Pilate boats. I counted twenty-four of them. They began to dodge around us to get the first chance. The lucky twenty-six number on her main-sail was the early one in the morning. Five o’clock night we was in quarentane. I look a head and saw a big hulk about three miles long and two in height. The Pilate told us that the doctors living quarters was on her. He came on board. He had the look of a grim spector. After examining both crews he admitted us but we laid there until the next morning. The Pilate came on board early hoisted all sail on the ship with a good breeze on in favor of us we dock to number twenty eight East River two o’clock noon. 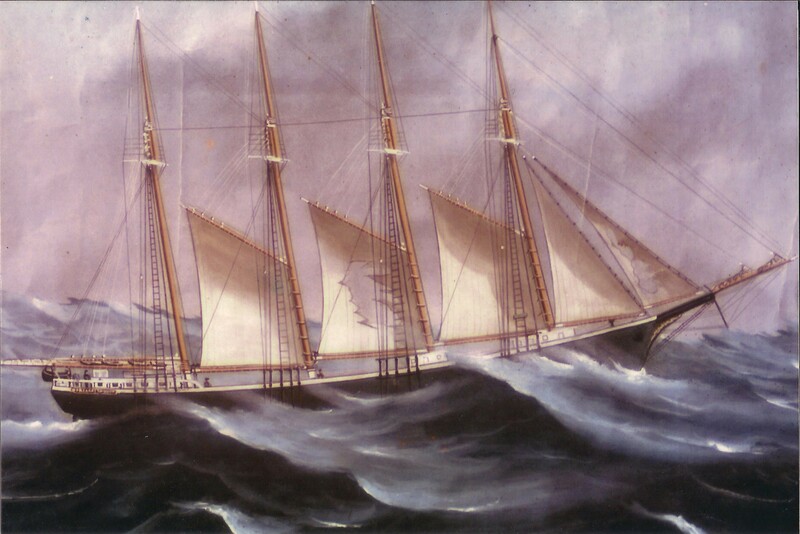 I have an original painting of this schooner the “Margaret Throop” of which both Capt. 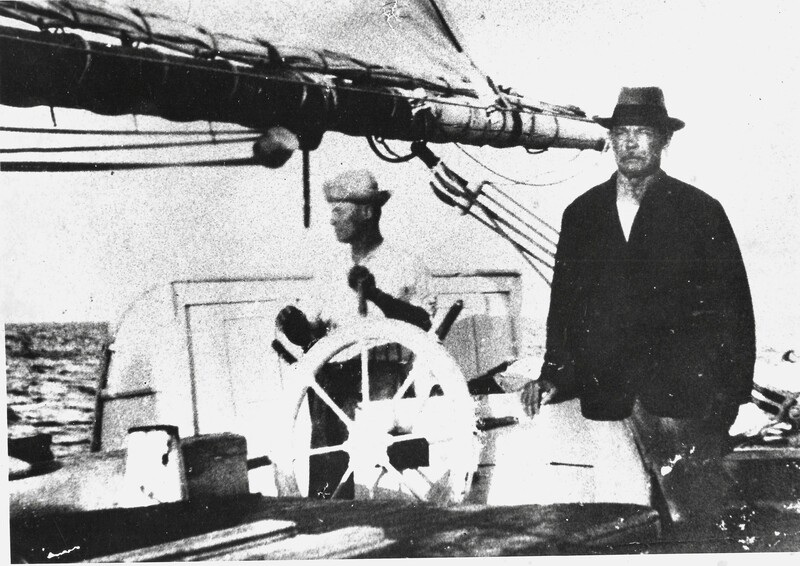 Arthur Wallace Simmons and Capt. Lockland Heyliger were captains at one time or another. These large schooners traded all over the world. Usually the captains were part owners of the schooners and when in the region they would stop in at Saba and see their families and friends for a few days while a local retired captain would take her out to see and “lay to” until the Captain and crew were ready to leave again. Being Sunday the spirit of the day was all around. No sound of traffic to be heard, only four men sitting on the dock. Then I said it looked like eart was Heaven. Later on there came on board twenty boys from five to fifteen as far as one could guess to beg tobacco, around their mouths full of the juice of it. 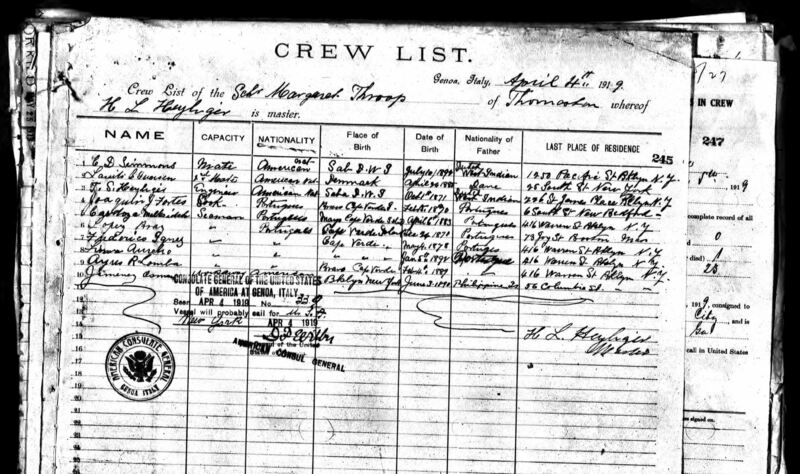 Crew list of the schooner “Margaret Throop” with Capt. Lockland Heyliger of Saba coming in to New York harbour with last port Genoa Italy . 1919. “We give them plenty. We had bought it in St.Martin where it was cheap life tobacco. Their greed for it surprise us. Each one would take a big life role it into a big ball and put it in his mouth. They all look like they had a bad toothache and their face was swollen.They behaved very good around asking plenty questions, what is this, what is that, how do this work and how do that work and soon then they begun to spit the deckful. The mate said to hell with you. If I let all of you remain half our longer it will take the whole of the ships crew to wash down her deck. That night a fellaw came on board after eight o’clock with plenty brass buttons on. He said he work in the “HERALD” office. He told us that the “HERALD” had to sell papers for forty thousand dollars a day to cover her expence now. I ask the cook if I could give him some pudding and coffee. All he says is you don’t want it if you like give him all of it. I brought one pan pudding and ask him if he would have some. He said yea, I never gets eney thing like this here. He ate the first pan. Can you eat more I said. He said yea and he ate all four pans that was intended for the supper and coffee of ten men. “Then I said that is why you hear so often people of New York eat to much. We dident see him eney more. After a long time I ask a fellaw about him. He said that supper of pudding that fellaw ate on board your ship made him air tight for a month. The next morning being Monday the ship began to unload. The unloaders were all Irish. Each fellaw when he come to eat a bucket with about three gallons of oat meal in it to put water on the oat meal and to drink during the day when they was thirsty. They would not drink ships water. They said the ships water from the West Indies was too thick for them. Then they ask me to go up in the street to the storm pipe as they called it for water to pur on the oat meal. I told them where in hell was I to find the storm pipe when I hadent been in New York in my life. The schooner “T.N.Barnsdell” owned by Captain Ernest Alfred Johnson of Booby Hill. My uncle Capt. Charles Reuben Simmons at one time used to sail with Capt. Freddie on this large schooner. Later on I consent to go ashore in New York for the first time. I went with clothes on that I wore on the ship and barefooted. Being accustomed to wear no shoes I didnent mind the July hot sun. The soals of my feet was as thick as a Texas bulls hide, that is why I dident mind sun. I went and found the storm pipe. On my way back I got into a thick of shoe blacks. Each one of them said to me; Say fellaw when you comes back put on your shoes, we want a shine. I told them I was coming back after five when my work was done, then I would have on my shoes. After five that my work was done I dress in decent clothes and put on my shoes as I want to go on Broadway. When I got to the head of the dock the crowd was waiting for me. Thay made a rush on me. One fellaw said he want a shine, the other said he want one and the whole made a rush on my shoes. The shine the first put on the second made darker. From the rubbing of so many brushes on my shoes I found I was contracting bo leg. I push them off and give them a quarter. It was all I was worth. I thought it was the best way I could spend it. Then I went into Broadway. Being late there wasent many people and traffic must have slowed down. The Horse and Buggie moving along so slow on two occasions I was oblige to push them out of my way instead of me getting out of theirs. Then I though a fellaw was safe in Broadway. Only a horse and buggie to be in your way and if they happened to get in your way you could push them out being so slow.(1876). Now (1931) I hear Broadway compares to a battlefield. 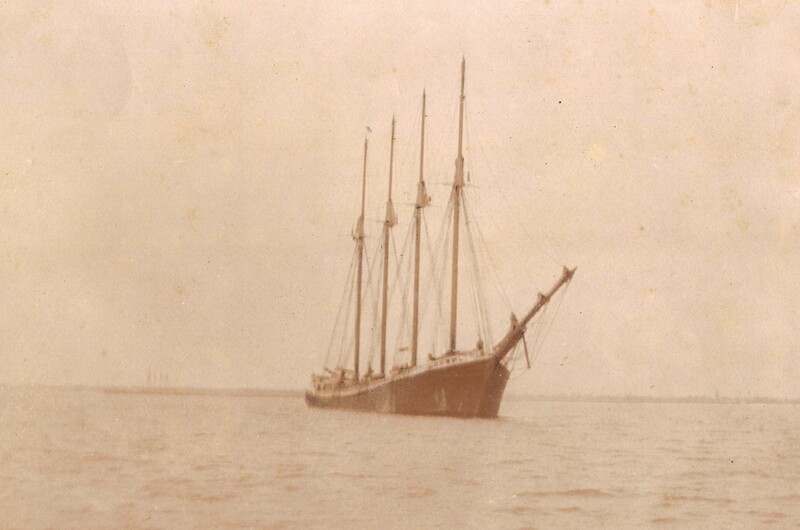 The schooner “E.Starr Jones” of which the captain was Lockland Heyliger. I remember Mr. David Donker telling me once that he caught a ride to New York and back on this schooner as a young man. She was transporting asphalt between Trinidad and New York and had stopped in at Saba to pick up some crew members and see family. “ I left Broadway to make my way to the ship. Being late I hurried. When I got within hearing sound of the ship I heard singing. When I got on board I met a crowd of young men and girls jigging Yenkey doudle keep it up, yenky doudle dandy mind the music and the step and with the girls be handy. Then a number of boys would join hands and form a ring with one standing in the center of the ring. He would pick his match from the ring and begin to have boxing sport. Everyone around would like the sport of it. One day a shoemaker, came aboard the ship and ask us if we had eney shoes to be repaired. We went around and picks up quite a lot the sailors had left from one voige to another. Probably some might have been Noahs that he threw overboard from the ark. We had quite a lot of them asking him to take two or three pair and make one pair. He must have thrown away the old ones and bought new ones on our expence. His bill surprise us, and a dispute started between us. He told me we had better pay the bill or he would put a lawyer. The Captain told us we had better pay the bill and we paid it. My father’s cousin Capt. 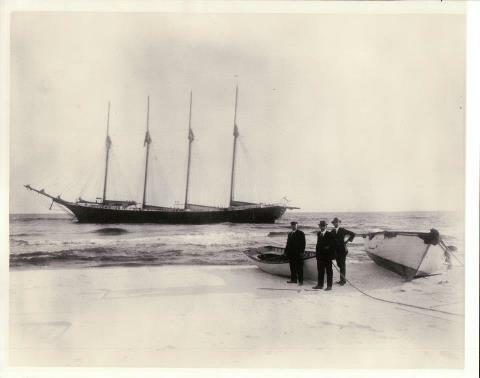 Augustine Johnson with his hand on his hip, pictured here on the coast of Florida with his insurance agents looking at his stranded schooner the “Robert L. Bean”. She could not be rescued as she was stuck in the sand. He lived to be well in his nineties as many of the other captains of Saba did. The writer married the widow of Dr. Nicolas Anslyn and is the one whom Carl Anslyn described as a lazy good for nothing. If Bush had been around back then I would swear that “Baker”, as he was called, had learned to write from him. 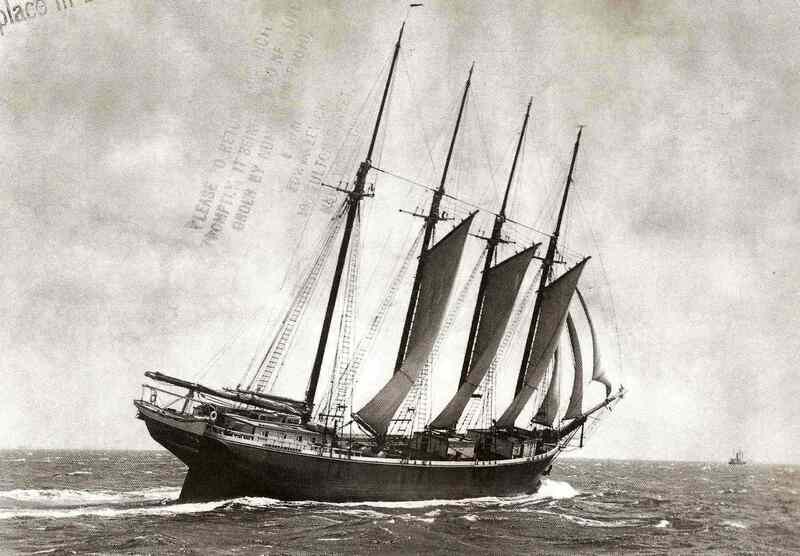 Anyway it will come as a surprise to many today that there was a time when schooners from Saba sailed to New York on a monthly basis and traded with the that port for the islands..Sic Transit Gloria Mundiae. The Roman Catholic Church bought this property which had formerly been owned by the Reverend John Toland.It was owned by Edward Simmons who was married to a daughter of Toland. 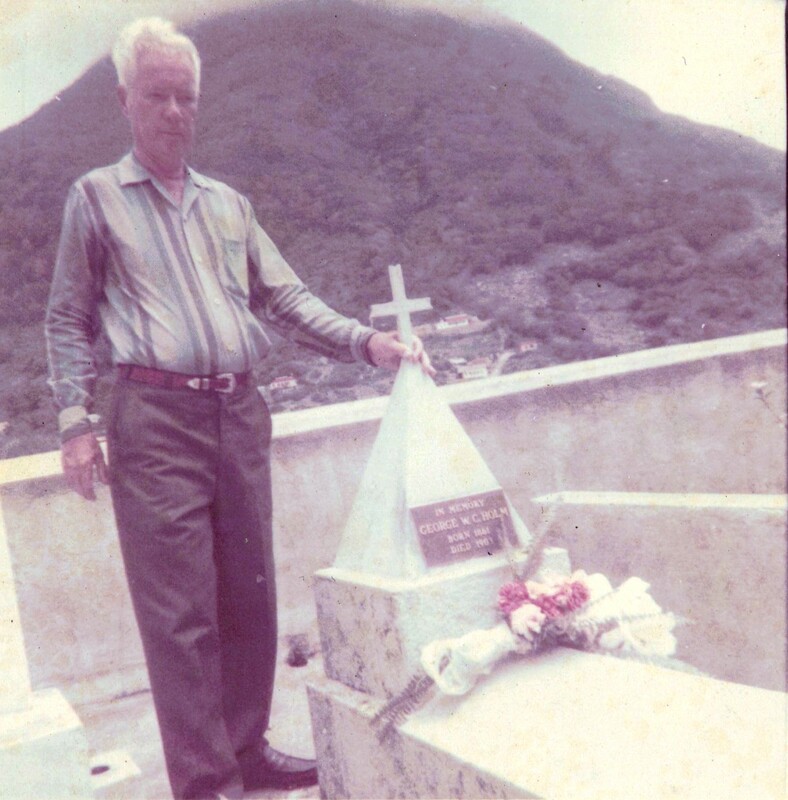 As he was the ancestor of a number of prominent families like the Vanterpools on Saba and some of the Richardson’s on St. Martin, the late Gosta Simmons and I have been trying to solve the mystery surrounding the origins of the Reverend John Toland. One of his well-known grandsons Capt. Ernest Hugh Toland Vanterpool in his name bears witness to his descent and has passed on the Toland genes to his descendants. In my research I found that he was described by different people as either being a Presbyterian, or an Episcopalian . The diocese for the Anglican Church on Antigua has no record of him and neither does the headquarters in London. When the Dutch historian M.D. 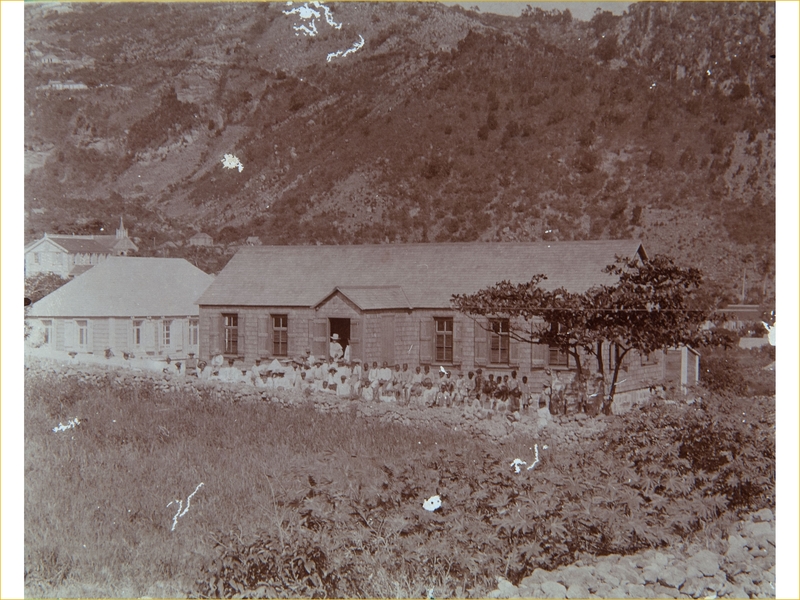 Teenstra visited Saba on February 13th, 1829 he wrote that the only religious instructor who was on the island was named John Toland and “is a Presbyterian.” “The church building after the hurricane of 1772 has been completely rebuilt. In 1821 it was shingled again. It is a square building, not very large, of which the solid walls are built of cut stone. The same building serves as Council Hall and school.” The building which Teenstra describes can only be the Anglican Church in The Bottom. From the Roman Catholic archives on Saba one of our priests claimed that John Toland was baptized a Roman Catholic but had converted to the Anglican Church later on. In 1857 he was still living on Saba but had a meager existence. Very few people went to church and he survived off the charity of the very few churchgoers. 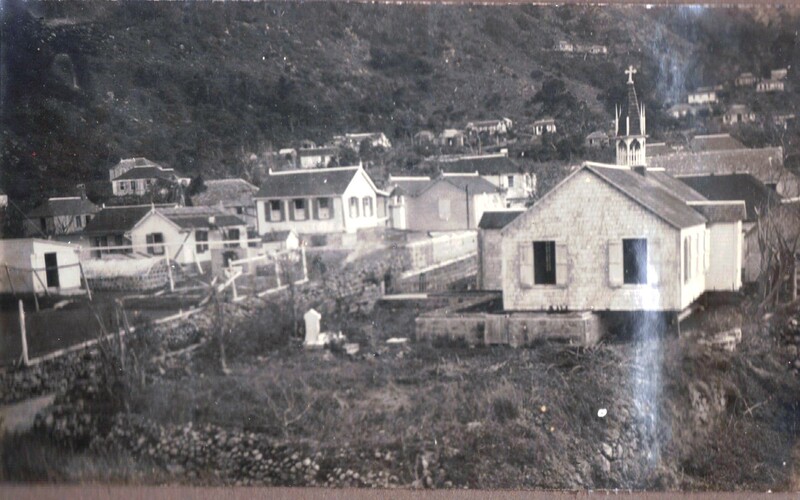 John Toland died on Saba on December 4th, 1863 and was buried on the property which later was purchased by the Roman Catholic church on which a church and school was built. Father J.C. Gast referred to him as the Episcopal Minister. In a Brief Outline of History and Data on the work of the Anglican Church in Saba (1777 -1977) they write:” In the early 1800,s, a Saban, the Rev. John Toland who apparently had had some theological training, served the church in Saba until about 1860. In 1829 and again in 1834 a visiting Dutch journalist, Teenstra, wrote that the only clergyman active on Saba was John Toland, who was minister of the “Episcopal Church” on the island. 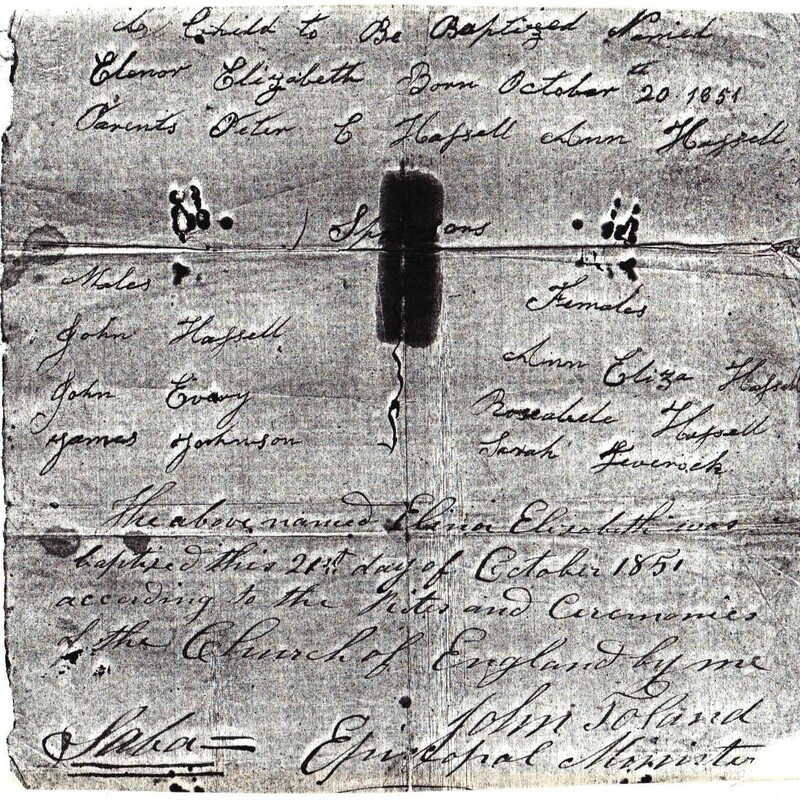 A Baptismal Certificate of Elenor Elizabeth Hassell, dating from 21st October 1851 bears witness to this fact. Dr. Johan Hartog in his “Geschiedenis van de Bovenwindse Eilanden” writes that Tolands grave was demolished by Father G.J.M. Dalhaus in 1908 as that Roman Catholic priest considered Toland a heretic and his remains were a blemish on the property of the Roman Catholic church. I wonder though if he is correct in that, as in a photo of the hurricane damage in 1932 the grave it still pictured there. Furthermore Toland was the grandfather of the powerful Vanterpool family and I doubt if they would have allowed that to happen. Photo from the hurricane of September 26th, 1932. According to me the white grave on the left was that of the Rev, John Toland. It was removed probably in the late nineteen forties. In checking on data of the births and marriages of his children I was able to find out more about him. His daughter Margaret who was married to Edward Simmons on August 15th, 1832 was born on Antigua on August 25th, 1809 and her mother was Ann Rodgers. The family moved on to St. Maarten as the daughter Maria who married Thomas Dinzey Horton on August 26th, 1833 was born on St. Martin in 1811. Another daughter Susanna Rebecca, on July 22nd, 1835 married Richard Robinson Richardson of St. Maarten. His father was also Richard R. Richardson a white planter who owned the Madam Estate and also had the concession for the exploitation of the salt pans. Yet another daughter Annie married Thomas Charles Vanterpool from Virgin Gordo and introduced the Vanterpool name and family to Saba when they moved to Saba. Dr. Thomas Coke in his history of the Methodist church in the West Indies refers to a Toland as a Methodist missionary preacher in Tortola around 1790 to 1800. We are not sure if this could have been him given the information we found after our first research from some thirty years ago. The name survived in the grandchildren as when the birth of William Donald Vanterpool was given in he was described as being the son of Ernest Hugh Toland Vanterpool and Elizabeth Simmons, Windfield Leverock. 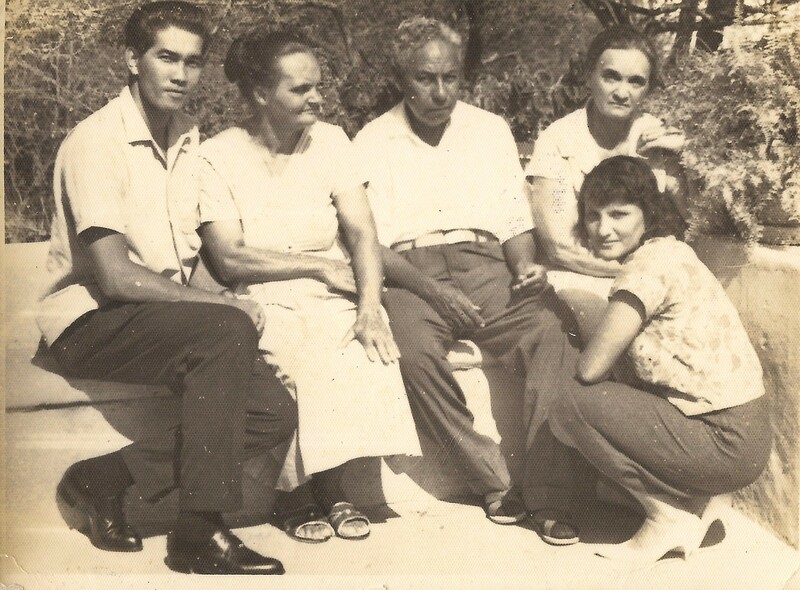 Marie Senior- Hughes, right in the photo, with two aunts and an uncle who were children of Capt. Ernest Hugh Toland Vanterpool so they are descended from the Reverend John Toland, (whose father was Hugh). Nieuwindt may have been correct in his assessment of the morals of the Reverend John Toland. A mystery which has puzzled people like Gosta Simmons remained unsolved because of the following. Of great confusion and importance is the passenger manifest of the schooner “Eli Hoyt” arriving at Washington N.C. in 1837. The conclusion was reached that this was the second family of the “Reverend” John Toland, age 56, Minister from St. Martins”, based on the name of Mrs. Mary L. Toland age 56 and three children as “Master James O. Toland, age 14, Miss Rachel J. Toland, age 12” and “Master Hugh Toland, age 8”. 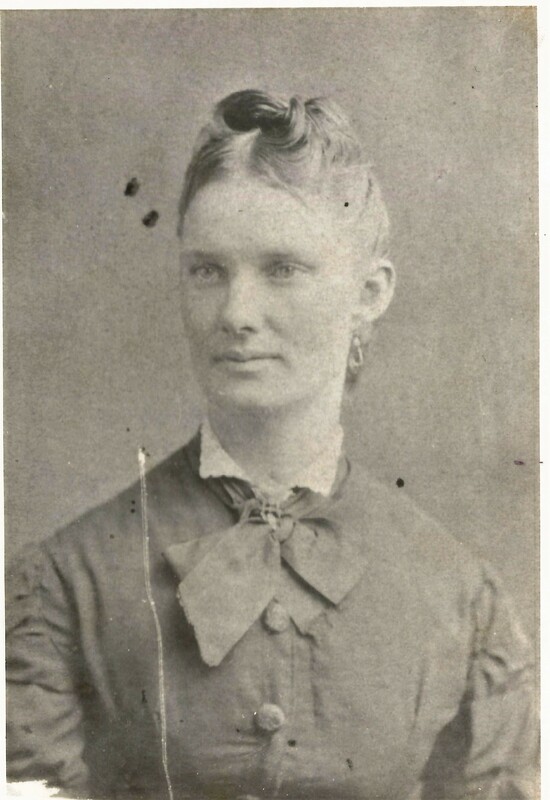 John Tolands family as traditionally known consisted of his wife Ann Louisa Rodgers from Antigua and their five children (Annie, Margaret, Maria, Edward and Susan Rebecca) probably born between 1808 and 1818. I say probably because we don’t know when daughter Annie, who married Thomas C. Vanterpool, was born. None of these people are found in connection with John aboard the “Eli Hoyt”. Furthermore there is a distinct break in time between the two groups of children. If this is true John’s first wife should have died around 1820, in order for him to start a new family with “Mrs. Mary.” So far there is no indication of such a death. Quite the contrary when the Saba death records state the death of one “Ann Louise Toland; V (i.e.female)”, who passed away on 17 June, 1863. Who was she if not the wife of the Rev. John Toland? The answer has to wait but we can keep in mind that James Osborne Toland died on Saba on 12 May, 1870! (Gosta Simmons). Former State ecretary Mrs. Amelia Nicholson-Linzey’s grandmother Christeen was a daughter of Capt. Ernest Hugh Toland Vanterpool, so Amelia is the great-great-great-granddaughter of the Reverend John Toland born in Ireland in the year 1781, so she can follow one branch of her family back quite a ways back in time. Gosta tried to find a trace of “Mrs. Mary” to be able to give substance for the hypothesis of a second family. In the marriage act of Tolands daughter Susanna Rebecca Toland on July 22, 1835 as witnesses for the bride appeared the Reverend John Toland and one Mary Skinner. If Ann Louisa Rodgers was already dead then why was Mary Skinner not listed as Mrs. Toland? In Gosta’s letter he asks: “Will- your opinion will be appreciated. And I want to inform Gosta in the great beyond that on one of the islands I had a friend who kept his two former wives in the same house with him along with the third wife. He told me: “ Meh boy, where were the two poor souls supposed to go? So I told them they could stay on and we all live good together.” Well I think that applied to the Reverend Toland who started a second family and kept the first wife as well. Who was this Mary Skinner? The name was not unfamiliar in the Caribbean. Based on my early research of Saba history in the old Saba records I found two Skinners indexed both females. Elizabeth Skinner, who died in 1858 and Mary Skinner who died in 1869. If Mary Skinner was the 2nd wife of Reverend John Toland, why was she listed as Mary Skinner? The Reverend John Tolands life on Saba was controversial in more ways than keeping two wives. Back then Saba had its own Court of Justice. I remember when Mr. Adrian Simmons would be visiting from New York he would come to the office to see the Kings Attorney who happened to be my brother Thomas Eric. Now the title is the Public Prosecutor and so the King seems to have lost his attorney on Saba. I used to like the name “Kings Attorney”. I can see the King now coming to his trial in Court with head bowed down, and his attorney all dressed up in his ceremonial robes, leading the King and his following into the Court Hall. However the title meant that the person who was Kings Attorney would bring cases to Court on behalf of the King who back then was de facto the government. A baptismal certificate signed by the Rev. John Toland, Episcopal Minister. There are a number of cases in which John Toland was involved and had to appear in Court one of which was on January 14th, 1829 in which he was the plaintiff against Miss Elizabeth Hassell (free mulatto woman) for defamation of character, in calling Mrs. Toland’ blood of a whore’ and many other vile expressions to that effect. Court condemns defendant to retract accusations and to make ample apology. Another case on June 23 1842 was one vs. Mr. John G. Every, who had beaten the Reverend in the public road for which defendant was fined fls.35.—quite a sum of money for those days. On May 11th, 1843 there was a case by the Reverend John Toland vs. Mr. Hercules Hassell Sr. for having accosted him when passing opposite his dwelling in company with Jacob Every. By the request of the widow of the late deceased, that the said Mr. Hercules Hassell Sr. gave him several blows with a stick in the presence of said Jacob Every, without the least provocation. This case was referred to the appeals court on St. Eustatius. Mrs. Lilias Pfanstiehl born Vanterpool was a granddaughter of the Reverend John Toland. And there were other cases which are too extensive for this article but which could be part of a book on the life and times of the apparently not so reverend John Toland. Toland was born around 1781. He was such a mysterious person to modern researchers that even his own church on Saba referred to him as a Saban. In “The Life of Daniel Gateward Davis. “Walker (1992; 141) it is also claimed that he was a Saban. 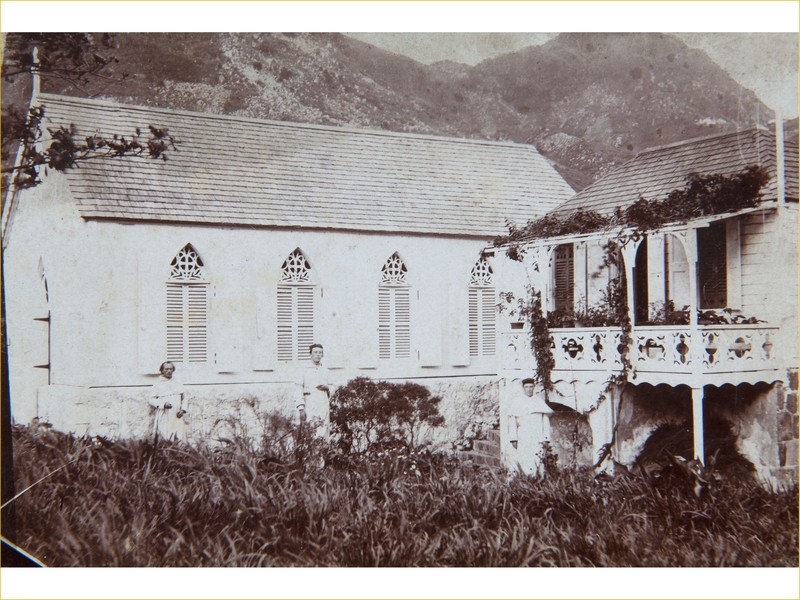 However in the annual reports of the state of the island of Saba Governor Edward Beaks listed Toland among the European inhabitants as Episcopal Minister from 1853 to 1863. His European background seems solid and supported by the fact that he was admitted on trial by the annual Methodist Conference in Ireland. Furthermore in the Consecutive Minutes from the English Conference he was explicitly listed as Irish. On July 2nd, 1807, Rev. Dr. Thomas Coke, the General Superintendent came to Dublin to preside over the Irish Conference. Five candidates were admitted on trial among them John Toland for service to the West Indies. The minutes of Conferences (1808-1812) in England listed Tolands assignments as a travelling missionary. In a report from Pastor Hodgson of Tortola it was stated that two missionaries Toland and Joseph Taylor arrived on March 1st 1808 to help preaching the Gospel in the Virgin Islands. In 1809 he was in Antigua, St. Maarten 1811, and St. Barths 1812 and also travelled to Jamaica in between 1810 and 1811 but in 1812 he desisted from travel and was excluded from the Methodist Society. In Saba from 1829 to 1834 and from 1853 to 1863. The Methodist Conference 0f 1812 held in Leeds was a turning point for Toland as a Methodist. In question 6 of the minutes his fate was described as “Desisted from travelling and excluded from their (MMS) connexion. Two letters from Toland to the Rev. Coke gives a brief account of sad tidings. The letters written from Nevis in 1813 show that charges had been made against Toland from one Miss Moore in Antigua. One person who met Toland personally and described him was the Roman Catholic Priest Kistemaker who visited Saba in 1843. He also solved the mystery of Tolands place of birth. We quote Kistemaker: “Each religion is good. The Anglican priest was exactly in those days on a journey, but came back from the outing on the same day that the priest was to depart. 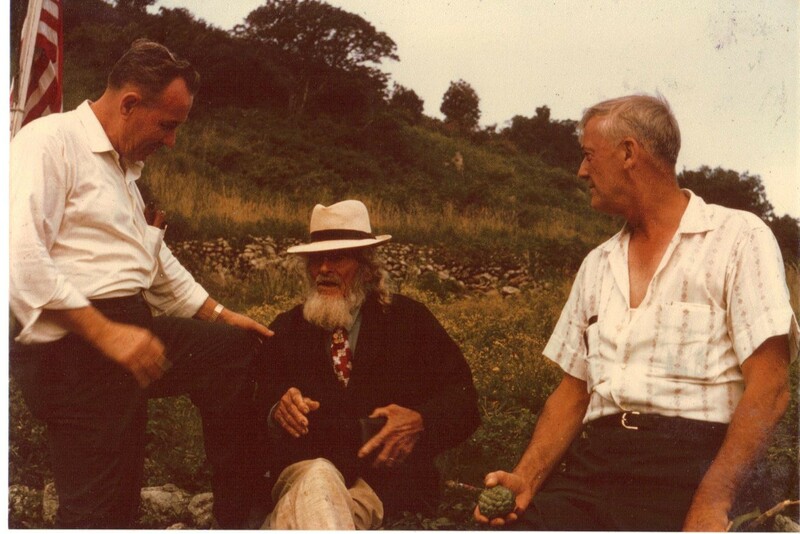 The boat delayed the departure however until the following day and the elderly clergyman came immediately to pay a visit to the priest, who had time to repay the visit. The clergyman told him that he was already forty years in the West Indies and was born in Ireland and was originally an orthodox Anglican, but as time went by he became more liberal in his opinions; each Christian religion according to him was good; especially against the Catholics he harbored no grudges. He had just been received very friendly by the Catholic priest on St. Thomas and some years ago had enjoyed the hospitality of different priests on Guadeloupe and even by the bishop of Basseterre of that island. He had constantly gone to Mass by the Catholics there and he regretted very much that he had not had the opportunity to attend the services of Father Kistemaker. He complained of the stubbornness of the Sabans and urgently appealed to the priest to take them to task once and for all. After that they said a hearty farewell to each other. And these many years later the preachers are still trying to take the Sabans to task. Sources: Besides my own research, that of Gosta Simmons and Ryan Espersen both of whom have generously shared their research with me. Freddie was born on May the 24th in the year 1932 in a small village called Behind-the Ridge on Saba above the old sulphur mine. My mother hated the place and suggested that it should be called Behind the Face of God instead. In those days Saba had no roads, no electricity, no airport, no harbor, no motor cars and only very occasionally a small plane would fly over the island. Into that environment one day when Freddie was about eight years old, the villagers and fellow islanders were startled when they saw a large object in the air passing close over the island. Everyone was in panic. People were saying it was the end of the world. My brother Eric tells me that Freddie was the only one who remained calm. He observed the great flying monster closely and declared to all present that there was nothing to be scared about. Freddie declared that it was a Zeppelin (or blimp) from the United States Air Force. Mind you there were no books, or magazines or radios and certainly no television Behind the Ridge. So everyone wondered where Freddie had gotten all that knowledge from. So you can see that at an early age already Freddie was interested in what to the rest of Saba were Unidentifiable Flying Objects. Most people remember Freddie for his many years at the airport. In doing so people forget or do not even know that Freddie was proud to be a primary school teacher in front of the class for no less than thirty five years. He had a problem with teachers who at the first opportunity left the class and went to work in air-conditioned offices in the Department of Education. He felt that a teachers place should be in front the class. In order to reach his school in The Bottom, Freddie would have to start out with my father from Behind the Ridge over a series of goat paths up and down the mountain. He would have to pass through Hell’s Gate, English Quarter, Windwardside, and St.John’s until they finally reached The Bottom. They would have to leave home at five o’clock with an old kerosene lamp in order that my father could reach his work as a foreman on the road for seven o’clock and Freddie could make it to school. Finally my mother had enough of that and did the unheard of on Saba by leaving her home behind and moving to her sister’s house in Windwardside which she rented for twelve guilders a month. In those days no one paid house rent on Saba unless it was an off island teacher or a doctor. My father by the way was making thirty guilders a month when the government had work for him. 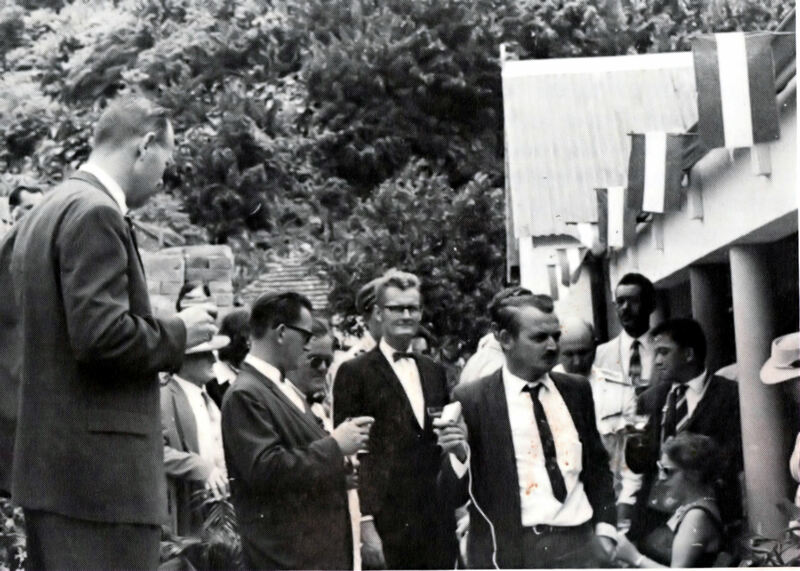 Freddie holding the mike while the Administrator Henry Carlyle Every was making a speech at the opening of the Windwardside Guesthouse. In the photo also former Administrator L.M.Overberg, my father Daniel Thomas Johnson, Floyd Every, Commissioner John Arthur Anslyn, Jocelyn Gordon, Doctor Lee and so on. My mother was a Simmons and she inherited the Simmons’ ambition and wanted something more for her children than just farming and fishing which Saba had to offer at the time. She firmly believed that if her children had remained Behind the Ridge that they would have been trapped there. In 1946 Freddie came to St.Maarten to finish his schooling and to follow a teachers training course. St.Maarten at the time had little more to offer than Saba. However Freddie loved the place and used to tell many stories of his stay with Mrs. Gathey Wathey next to the Methodist church and later with Miss Browlia Maillard on the backstreet. In 1950 he nearly lost his life on a small sloop which caught up in a hurricane on his way back to school. This was the old school in The Bottom when it was first a church. Freddie had to walk every day from Behind-The-Ridge to this school and back to Behind-The-Ridge after school. In 1951 he graduated and was intending to go to Aruba. The day before he left home the entire family went to church. My father had not been to church in some 28 years. While the family was in church a terrible lightning storm broke out. It was so bad that the priest had to cancel the Mass. Then the police came and informed my father that the house we lived in had been badly damaged by a lightning strike. When my mother was six weeks old a bolt of lightning had destroyed her house, killed her sister and badly wounded her grandmother and a cousin. So you can imagine my mother’s crisis with having had two houses destroyed by lightning in her lifetime. 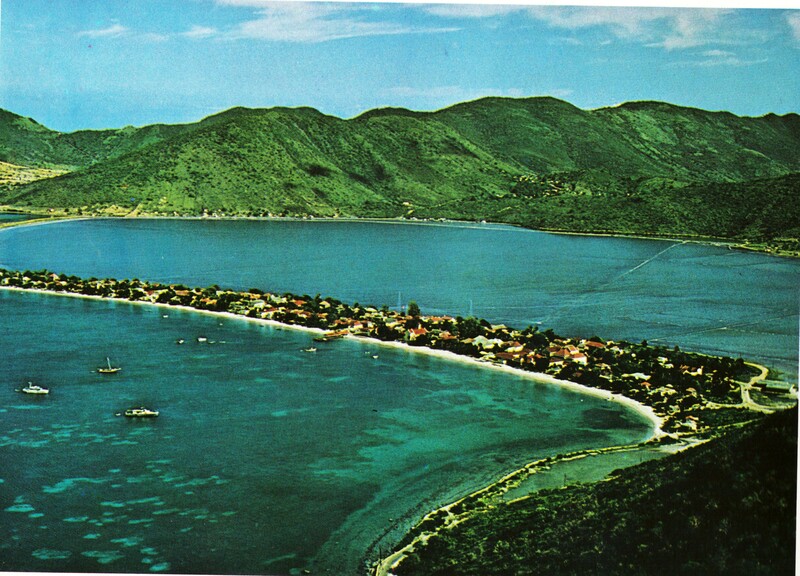 Anyway we bundled Freddie off to St.Maarten the next day and he went on to Aruba where he taught at the Prince Bernhard School in San Nicolas until 1956.He paid my passage to go over from Curacao for the Christmas of 1955. I was recently in Aruba and I am always amazed how much all the islands have changed in recent years. In 1956 Freddie returned to teach at the elementary school on Saba He was active as Leader of the Boy Scouts for years, also a Member in good standing of the Lions Club and active in the Catholic Church as well. In 1959 he married Patsy and together they had three children, Carolyn, Bryan and Desiree. In 1962 when Claude Wathey was running for the only parliamentary seat of the Windward Islands he sent me from St.Maarten where I lived, to Saba to campaign for him there. After the elections I was told by someone to try and get the agency of Windward Islands Airways. I remember writing a letter to Mr. Chester Wathey and a reply came back the following week appointing my father as agent. My father was then in very bad health and could hardly read and write, so it was Freddie who with his love of planes was the de facto agent of Windward Islands Airways. He was assisted in the day to day work by the only two people who worked at the airport at the time namely Leo Hassell who ran everything that could be run at the airport, even the goats would have to be run off the runway by Leo so that the plane could land. Also Thomas Johnson helped out Freddie as well as Cleve Hassell and whoever else later on worked at the airport. In 1986 or so Freddie decided to take his pension as a teacher and dedicate himself full time to running the agency on Saba for Winair. During his years as agent Freddie gave many young people a break. They worked for him during their school vacations and then moved on to higher things. My son Chris Johnson, Commissioner and Leader of Government was one of those who worked for the agency for awhile. This was before Freddie’s time, but he went to school in the Windwardside to this school as well and later was a teacher for more than 30 years at the school which is now the Eugenius Johnson Center. In this picture taken in 1911 you can see the Roman Catholic Priest Father Laurentius Mulder with his horse and the lady dressed in black is our great aunt Ann Elizabeth Johnson “Miss Shishi”. Freddie and Carlyle were buddies since they were small boys growing up on Saba and remained friends until death. Our family has taken Winair seriously as if the airline belonged to us. My brother Eric for many years was on the board of Winair. I then followed him, and then my son Teddy was on the board until recently. 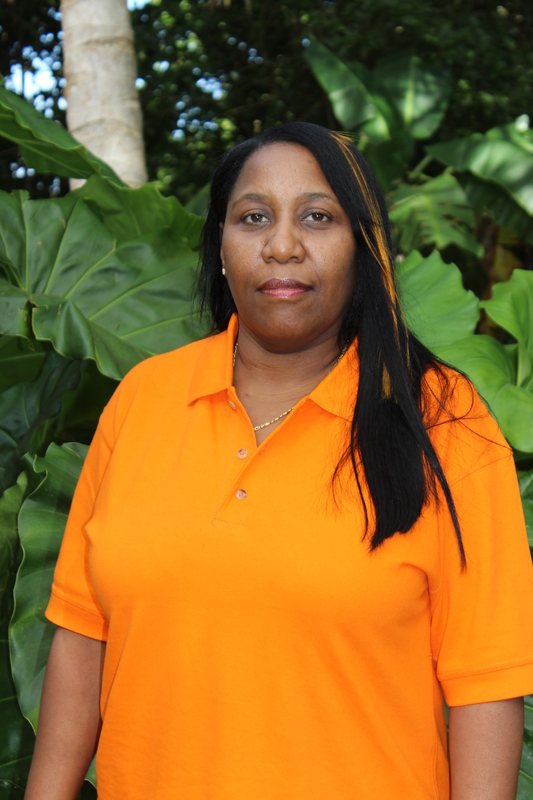 I would like to recognize Erla Granger the latest family member to be on the Board of Winair. Erla is the daughter of Carlyle Granger and he and Freddie lived like real brothers from the time they were little boys. Carlyle used to call Freddie “Mijnheer” and he used to say that if he saw MIjnheer in a fight he would jump in and start to throw blows in defense of Mijnheer. Only after the fight was won he would ask Mijnheer “But who started this fight anyway?” I am sure that the two of them are somewhere in Heaven under a sea grape tree pounding melee as they used to do here on earth. Henry Every, Howard Leverock, Floyd Every and Freddie Johnson, boy unidentified.1949? Freddie and his family have been one of the most reliable agents for Winair since 1962. For years Freddie did not charge the company ground handling fees as he said Winair could not afford it. Only when Hortence Smith became Winair Manager he insisted that Freddie like all the other agents should get ground handling fees. I want to recognize the presence here today of his widow Patsy and his children and congratulate them on this honour being bestowed on Freddie today. They would like to thank the committee who suggested this tribute to Freddie, as well as to the Post office for following the recommendation. By the way Freddie’s son in law Aron Soares is the great great grandson of Verne C. Gorst the grandfather of United Airlines. Since the Postal Authorities are present here today, I want to sidetrack for a moment and remind them of the following; when the Post office belonged to government, I represented the Windward Islands on the committee to honour persons of merit in the community. While serving on that committee we were able to get at least six Windward Islanders honoured with a stamp.Mr. 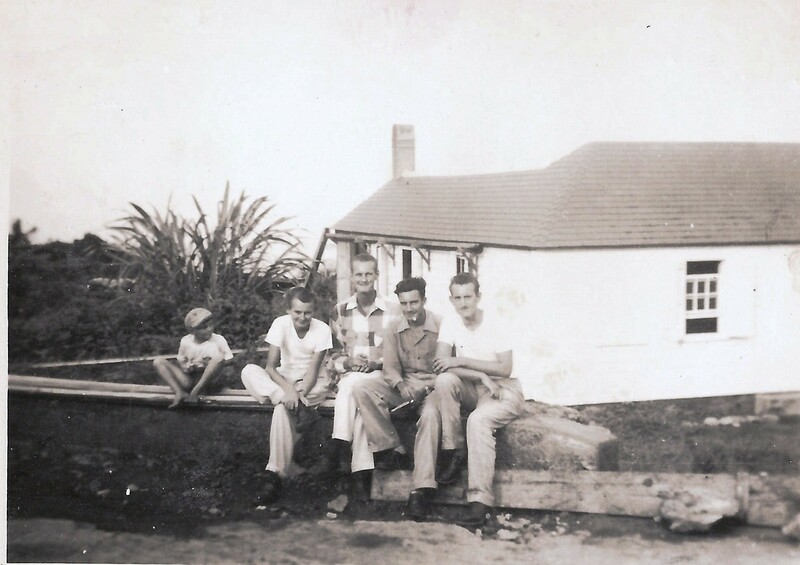 Cyrus Wathey, Mr. Joseph H. Lake and Mr. Steve Kruythoff on St.Maarten. For St.Eustatius it was Miss Paula Dorner and Mrs. Christine Flanders and for Saba Mrs. Gertrude Johnson born Hassell, and Mrs. Maude Edwards-Jackson. ) People have been urging the Postal Service to bring back that tradition. It is a nice way to honour meritorious persons and the families and the community appreciate this. I am happy today to see that they have started once again to honour our people who have dedicated themselves to their communities. Freddie went to school on St. Maarten to get his teachers certificate. This is what the Front street looked like when Freddie lived there. I have other photos to add to this article and will do so as I find them in my computer. On behalf of the Johnson family and the people of Saba I would like to thank the Aviation Pioneers of the Caribbean Foundation who took the initiative to honour these three individuals here today. Of course all could not be honoured today. However we cannot forget people like Mr. George Greaux, Mr. Faustin Ledee, and Mr. Louis Richardson and so on. In the past thirty years many young St.Martiners like my friends Edwin Hodge and Rodger Hodge, and also Sabans have been inspired to learn to be pilots. We have Gavin Peterson from Saba flying out of Singapore. 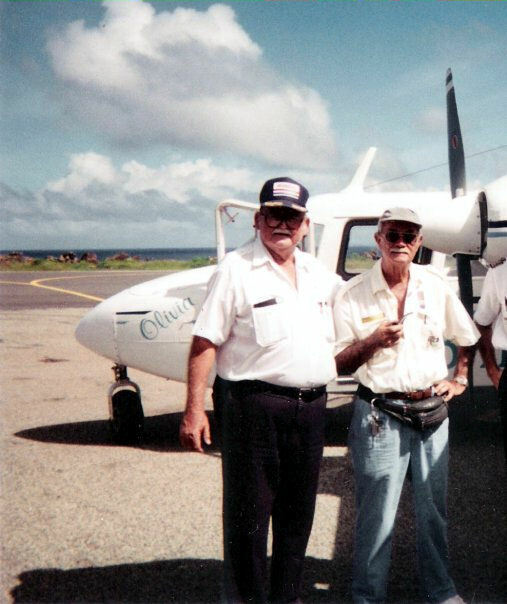 And not to forget my friend Henkie Rivers of St.Eustatius, with whom I had many interesting experiences when he flew for Winair. 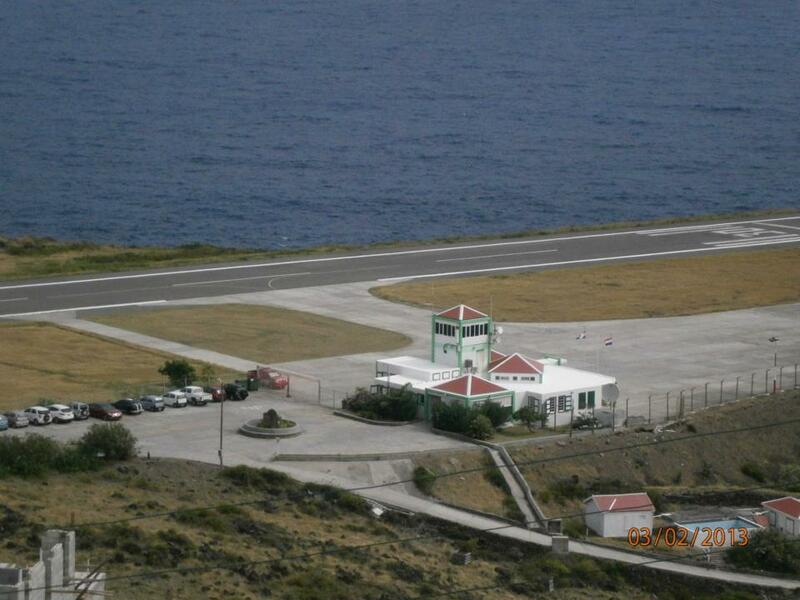 I have landed over 800 times on Saba’s airport and believe me I still have not gotten accustomed to it. Many of the former St.Barths pilots went on to become captains of large airlines. I remember one night flying from Aruba to Lima Peru on a KLM 747 plane, when the pilot came on with an announcement while we were flying over the Andes. When he identified himself I asked the stewardess to tell him that I was on board. Shortly after that he came from the cockpit looking for me quarreling with me as to why I had not let him know earlier that I was on board. He was one of the Blanchard brothers who used to land on Saba with the Winair planes. Jerry Cassius the former chief engineer for Winair was a personal friend of mine and I and others have been assisting him with some research his planned book on Aviation History of the Windward Islands. Besides being a teacher Freddie also carried out the duties for my father who was the Agent for Windward Islands Airways and then later Freddie took over the agency. He spent much time at the airport and did not live to see this new building. Although our father was a quiet man, three of his sons Eric, Freddie and myself always have been opinionated and have always expressed our views on issues in the papers. Freddie wrote often on topics pertaining to the neglect of the Saba airport and aviation services to Saba over the years. 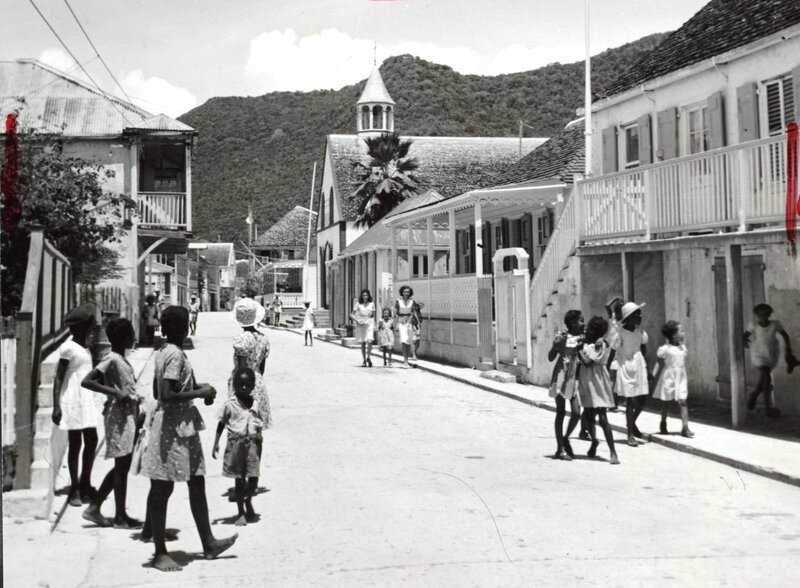 For months on end Saba in the nineteen sixties did not get air service, prompting the people of the island at the time to hoist a French flag over the police station in the Windward side. Why the French flag one may ask? My answer to that is that there was no Cuban or Russian flag available at the time. I carry a whole closet of flags from all the rebel countries just in case if a statement has to be made. On a recent trip to the Alhambra, I bought a Spanish flag there. My wife Lynne asked me: “Why would you buy a large Spanish flag?” I told her, “You can never tell. Saba was owned by Spain from 1493 until 1640. A Spanish flag never flew over the island. And you can never tell when I will need it to pester the Dutch with.” The raising of the French flag on Saba in 1964 was a desperate call for attention to the islands plight by its people. Hopefully soon when Saba attains its new political status Freddie’s dream of a cross-strip for Saba’s runway can be realized. I remember once that some high officials were standing close to where Freddie was doing his paperwork in preparation for the flight. Freddie made some remark which I felt had been overheard by the officials. I whispered to him:”Freddie man you can’t say that.” He replied: “And who said that? At my age if I cannot say what I think and feel when will I ever get the chance to speak out?’ Within a few months he was no longer in the land of the living. And so we Johnson’s continue to speak out and the next generation are already making a name for themselves for their ability to carry on the tradition of boldly speaking out on issues concerning our island and the world. 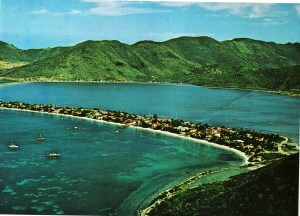 Another nice view of the St. Maarten which my brother Freddie lived in from 1946 to 1951 and where he made many friends. After that he went to Aruba and was a teacher at the St. Barnard school in San Nicolas until 1956 when he started working for the Roman Catholic School in the Windwardside. If I started to talk about Chester Wathey and Jose Dormoi, believe me you would chase me off the podium as I could go on for hours about my personal relationship with these two gentlemen. “Pipe” was such an institution on Saba that he even became the subject of sermons. I remember one morning in the Anglican Church in Windwardside when Father Jacobs was explaining the difference to his parishioners between hope and certainty. He likened it to when you got in the plane and you saw Pipe in the cockpit you were certain you would reach your destination while with other pilots you could only hope and pray that you would get there. Father Aldric Hassell would hang around the airport to find out if “Pipe” was flying. If not he would pretend that he was just visiting the airport and head back up to Mountain to await a better day when Pipe would be flying. Suffice me then to congratulate the friends and families of these two gentlemen as well. Many of those who worked at the airport on Saba with Freddie frequently recall words of wisdom that “Meneer Freddie” used to suit certain occasions. Someone, a former student of his, recently said to me:’ don’t think that Meneer wasn’t smart,” and he then went on to describe a situation and the philosophical way “Meneer Freddie” had put a label to it. The people of Behind-the-Ridge already knew that, when Freddie was eight or nine years old. When they thought the world was coming to an end Freddie with a keen sense of observation calmly assessed the situation and informed the anxious crowd that what they were seeing was a Zeppelin plane from the United States. This was a speech I made when the Postal authorities of the Netherlands Antilles honoured my brother Freddie and the other two gentlemen Mr. Chester Wathey and Jose Dormoi with a special issue of postal stamps stamps in their names.